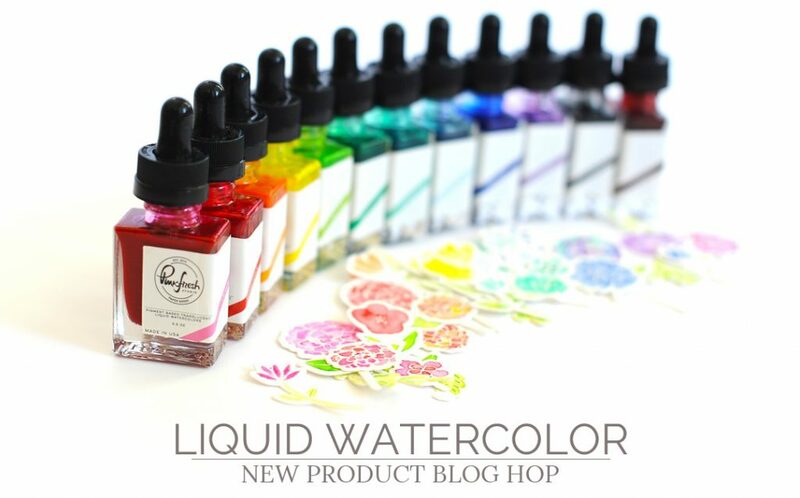 Pinkfresh Studio has released a line of gorgeous Liquid Watercolor Paints! I am thrilled to take part of the Watercolor Blog Hop featuring the new line! 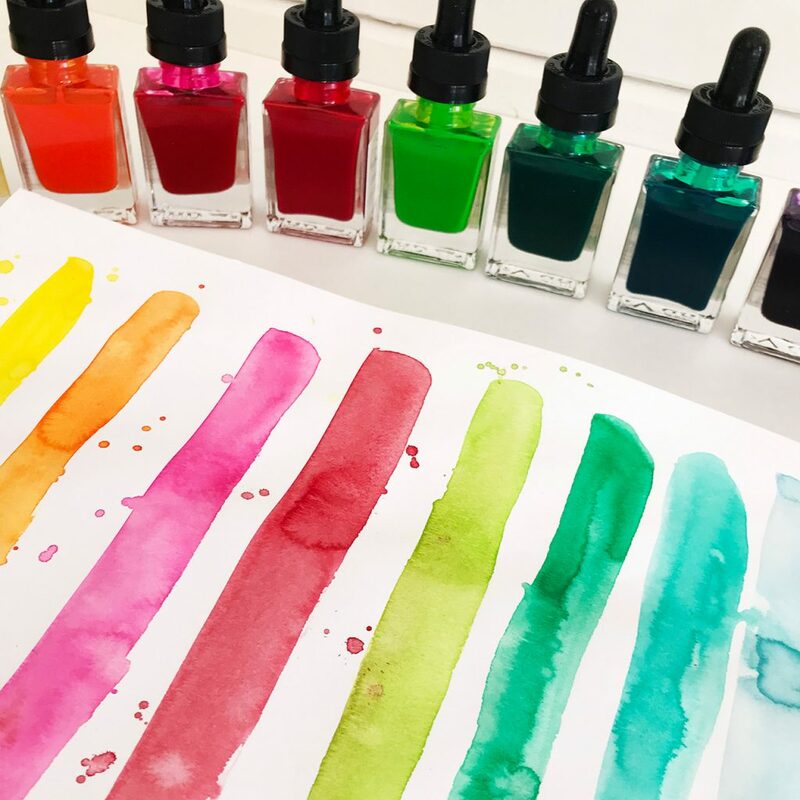 The Pinkfresh Studio blog will be giving away (1) set of Liquid Watercolors on each of the the following Pinkfresh Social Media sites: Blog, Instagram & Facebook. Each of us taking part of the blog hop will be giving away a $25 giftcard winners will be picked from the comments! The first thing I did when I received the watercolors was to make a swatch sheet! The colors are so vivid and rich. They blend down beautifully with water and you can achieve a bright bold feel or a soft subtle look! I couldn’t wait to paint flowers with the Pinkfresh Studio Watercolors so I chose to do that for my first layout. I did some quick pencil sketched flowers and leaves and filled them in with paints. I used the Clementine on the background for a soft green background for the flowers. 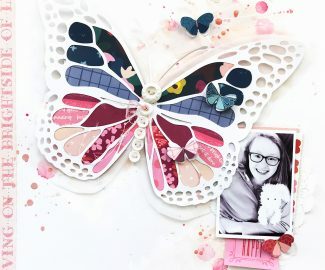 A few embellishments from Let Your Heart Decide finished off the layout! I wasn’t done with florals yet! I decided to make a second layout with florals but this time I painted a blank white cut file from Just Nick for the floral base. I didn’t add as much water to the watercolor paints and ended up with some pretty rich colors! The Licorice paint makes the most beautiful black splatters in the background! For my last layout I decided to go bold! 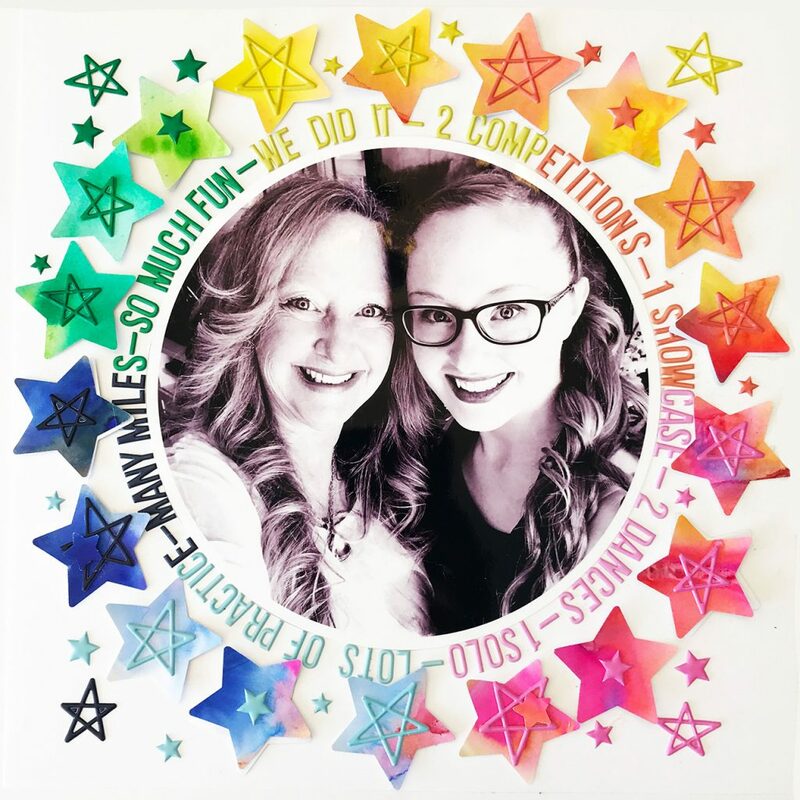 I chose the puffy stars from The Mix 02 as my jumping off point and painted a big sheet of cardstock with ALL the colors! I then punched out stars in rainbow colors and added them around my circular photo. I used the alphas from The Mix 02 for my title and changed the alpha colors each time the stars shifted in color! The layout turned out beautifully and it was SO fun to make! Winners will be posted on Sunday, June 10th on the Pinkfresh Studio GIVEAWAY PAGE. Winners must check that page & claim their prize within 2 weeks. 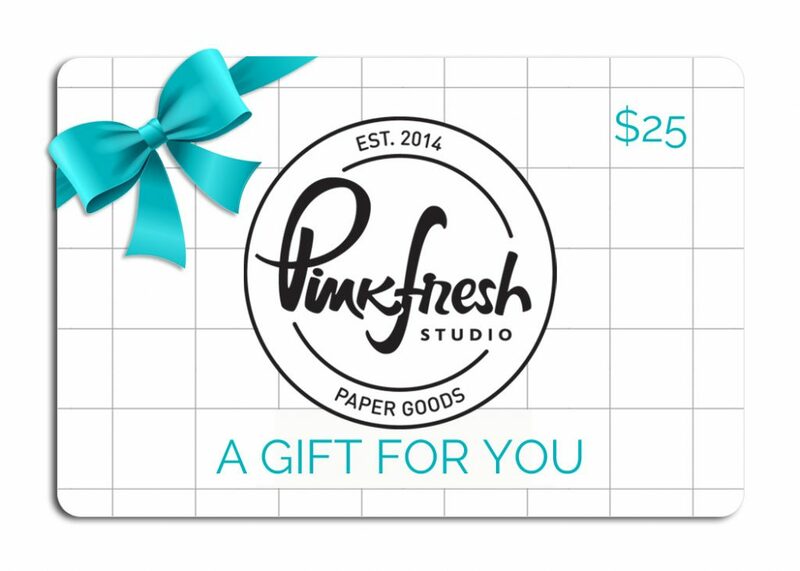 Be sure to leave a comment below on my post to be entered for the $25 Pinfresh Studio Gift Card! Thank you for checking out my post! 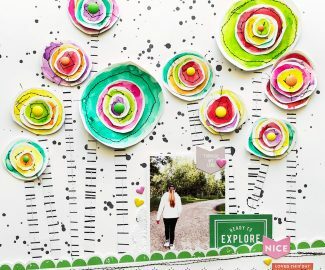 Be sure to check out all the inspiring stops on the blog hop! Love the colors – they are so vibrant. Thanks for sharing. I love these watercolors by Pinkfresh. They are so soft and beautiful. The flowers are so fresh and I love the stars on your layout. These are so sweet and pretty! The watercolors look fabulous! Such gorgeous projects! 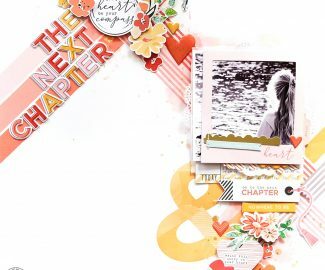 I reslly need to play more on my scrapbook pages – you’ve motivated me!! Beautiful projects, I especially love the one with the stars! Super cute inspiration! Thanks for sharing! These watercolours are gorgeous. So vibrant and pretty. I love your style, Lorelei, you are a true artist. Love how you painted the flowers and leaves. Your project are always inspiring!! Love all your pages. Great colors. 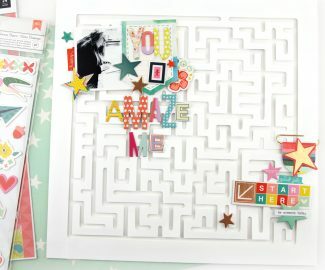 Stunning bright colours, gorgeous layouts, you make it look so easy. Aww, your layouts are lovely! These watercolors look amazing! Beautiful layout! I love the colors and the depth you achieved with your layering. The flowers look so cute!! Your layouts are amazing, such beautiful colours. Thanks for sharing your inspiration. Those ink colors are gorgeous. Love the rainbow of stars. 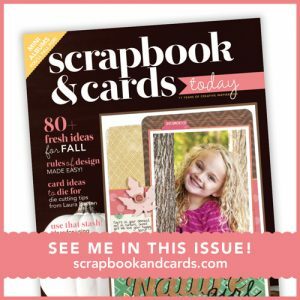 You just inspired me to start scrapbooking again. What beautiful layouts made with these new watercolors. You did an amazing job! Your layouts are just beautiful! Wonderful ideas. Thanks for sharing! What gorgeous pages ,love them so colorful!!! Great layouts and I love the way you used the colors! The stars are the best! Beautiful job. 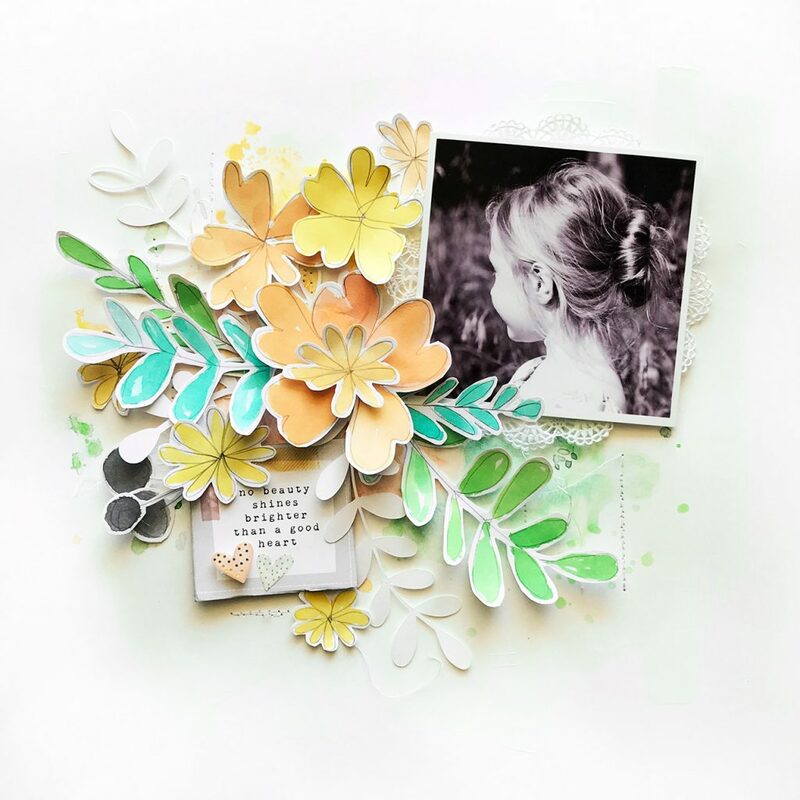 How beautifully you have showcased the new liquid watercolors on your layouts ! Loved them. Wow! Amazing layouts! Love the new colors! Love seeing the layouts with the watercoloring!!! Such beautiful work and very inspiring!!! Love these layouts! They are absolutely gorgeous! Love it! Such beautiful colors. Lorilei your LOs are amazing! Love every little detail! Thanks for the inspiration! 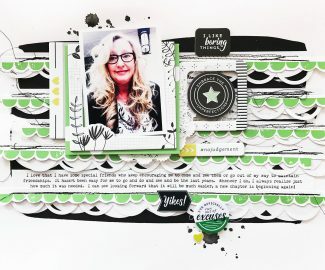 Your hand drawn layouts are beautiful – you are quite the artist! I particularly like that you chose to do muted colors all the way up to the bold. These watercolors are fabulous! you’ve showcased the bright AND the soft….love that! Your layouts were really neat and I especially love the watercolors on the stars in the last set of photos. How fun and I like how you worded it around the photo and dropped one color at the end of the word and added the next color! So fun and such a fun way to use the new colors!!!! Plus you planned ahead~amazing! Thank you for sharing. Gorgeous layouts. They tell a story more so than just a picture. 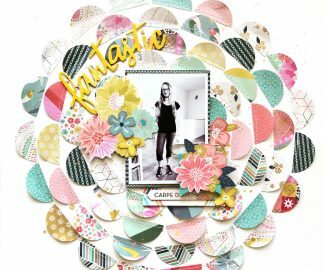 Love your layouts Lorilei, they are beautiful. The colours you chose for your flowers are so pretty. Love the versatility of these w/c’s, they look fabulous and vibrant in full strength but beautiful and soft when diluted. Beautiful layouts! I love how vibrant those new liquid watercolors are! Thanks for the inspiration! Gorgeous flower bouquets … and the rainbow ring of stars are fantastic. Great layouts and a beautiful little girl. The watercolor flowers are amazing. 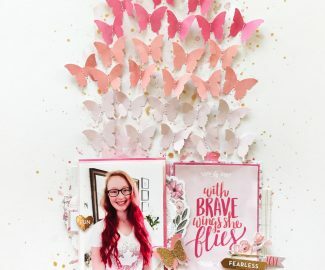 Gorgeous pages, love your designs and techniques. I am so inspired! 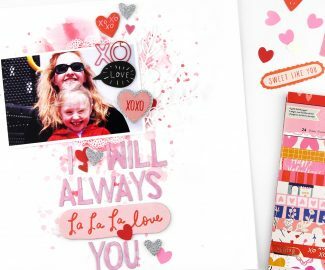 Love the layouts….and your use of the watercolors! So cheery! Wow!! Your layouts are stunning!! Great way to use the watercolors!! Loving the stars layout! Everything just pops with those colors! Lovely pages! You provided some different ways to use the water colors that I wouldn’t have thought of! Beautiful work and love the photos! I always enjoy your work and these layouts are no exception. Just lovely, all three. Your layouts are so pretty. What wonderfully lovely layouts! Your watercoloring so beautifully enhances your photos, from soft and sweet to fun and vibrant. Wow! What lovely new products! These projects are gorgeous!!! Your layouts are fabulous. Wonderful designs and coloring. not intimidating at all! Would love to win a gift card to spend at Pink Fresh! That would only make a small dent in what I would want to buy however!!!! Thanks for the chance to win! These are all so pretty but the last layout just knocked my socks off! Beautiful!! Love the layout with the stars!! These colors are so vibrant, they really make your project come alive. The colors are all so pretty. I love your layouts. Love the layouts! Would love to try some of the paint. I am sure lots of people say the same things as I am about to, beautiful, stunning, and WOW! your last layout is just so so much to take in, I actually zoomed in to really look at those beautiful colors! Loving the rainbow colors!!! So pretty! Love the simplicity of these! The watercolor is perfect! your layouts are beautiful. love the shades of flowers. Stunning layouts, love them all! Wow! All of your projects are great! I love the bright, vivid colors! Beautiful layouts. I love how you showed both soft and bold colors. I am certainly inspired to try hand drawing some flowers! Wow, I love your layouts, so gorgeous all of them! Thank you for sharing them! Beautiful and fun layouts for these photos. Wow, awesome layouts. Thank you for some great ideas and motivation. Those rainbow stars are my JAM! Soooo inspirational! Thank you!! Your daughter is so cute! Love you layout. Love the little girl showing off her hairdo. The flowers really highlight the picture. Your layouts are wonderful! The watercolored images are beautiful! So many layers and texture! 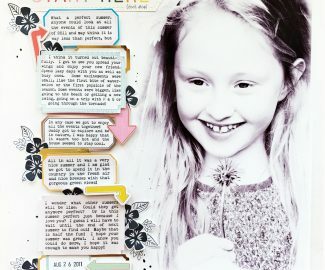 Lovely scrapbook pages! I especially like the color combinations you used on the first layout. That clementine color is gorgeous! The stars layout if amazing. It is my favorite project! I love that you went bold with it. Love the color combo on the stars. Such great layouts and use of colors. WOW ! I love these watercolors. They can be soft and subtle ,and vibrant and bold ! I love your rainbow colored stars. TFS. All of your layouts are stunning!. I could not pick a favorite. Daughter is beautiful. Wow! 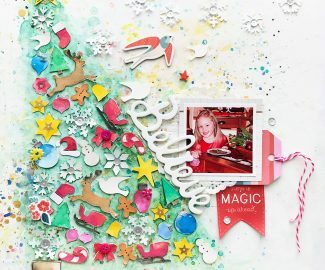 Those gorgeous colors pop right off of your fabulous layouts! So pretty! Love the mottled look on the flowers. Beautiful work. I think that first swatch page would make for an amazing scrapbook background, too! The floral versions are lovely, but I think my favorite is the stars. I just love the colors and layering on each of those stars, and it really shows off the potential of these watercolors. Thanks so much for sharing! So beautiful!! 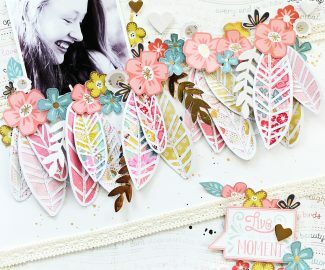 I love how you used them on the flowers in your layouts. The colors add so much dimension and depth. 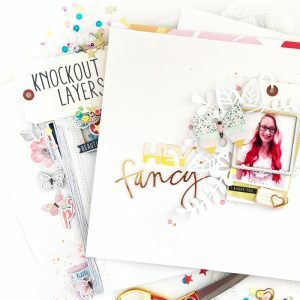 Fab layouts and use of these new products. Thanks for the inspiration. I luv your using of these beautiful colors very much! Love your layouts with the pretty flowers but the one with the Stars really stands out to me. So vibrant and fun. Love what you did with the watercolors. Oh my !! What an amazing set of pages !! They’re all absolutely gorgeous !! Such gorgeous layouts! ( And awesome pics!) I’m loving these pretty colors & the ability to make them as soft as you like or as vibrant. So pretty!! So pretty and sweet – love the watercolors. Great layouts. The flowers are softer in color and you made the color brighter on the other. 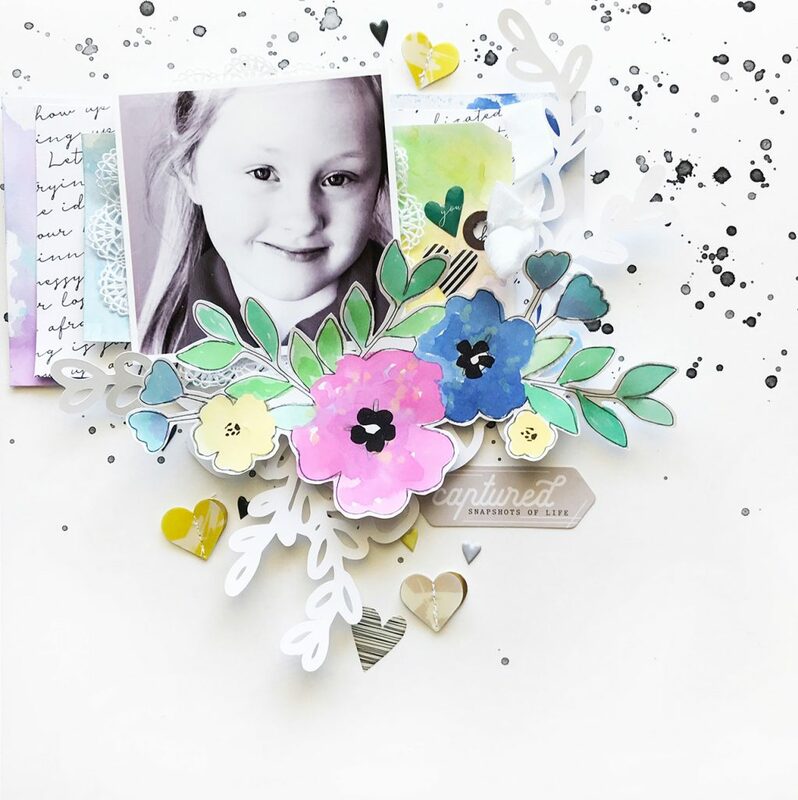 Beautiful layouts, you are a true inspiration! Can’t wait to use these, especially in the bold look you used. I a fan of BRIGHT!!! Thank you for the ideas! Beautiful vibrant colors! Thank you for sharing! OMG!!! All such gorgeous layouts !! Those water colors look amazing! 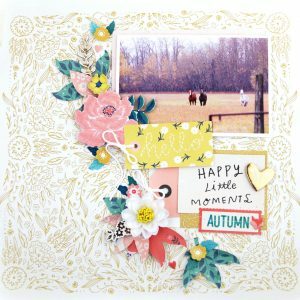 How nice to see a Canadian on this blog hop. I am from Saskatchewan. Beautiful colouring. I love the big flowers painted and on the layouts! Scrumptious colors! I love your beautiful pages! I love the vibrant layout! Lorilei you never cease to amaze me with your stunning creations! Your layouts are absolutely beautiful! 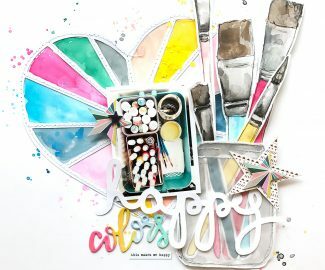 I love how versatile the watercolours are and how you used them differently on your layouts! Great how you colored the flowers, love your pages! All your layouts are so beautiful, but I especially love the third one with the circle of changing and merging colours – fabulous! Beautiful projects! And the watercolors – so bright and vibrant, and easy to use! Beautiful layouts! I just love the floral clusters and the wonderful dimension in them! Gorgeous variety of layouts. I love both the soft color schemes and the more vivid colors. These watercolors are beautiful.